Join us on Saturday 19th May 2018 to celebrate the marriage of HRH Prince Harry to Meghan Markle, in a Great British tradition, York Marriott Hotel are hosting a family friendly, street party style celebration, in the gardens of York Marriott Hotel. 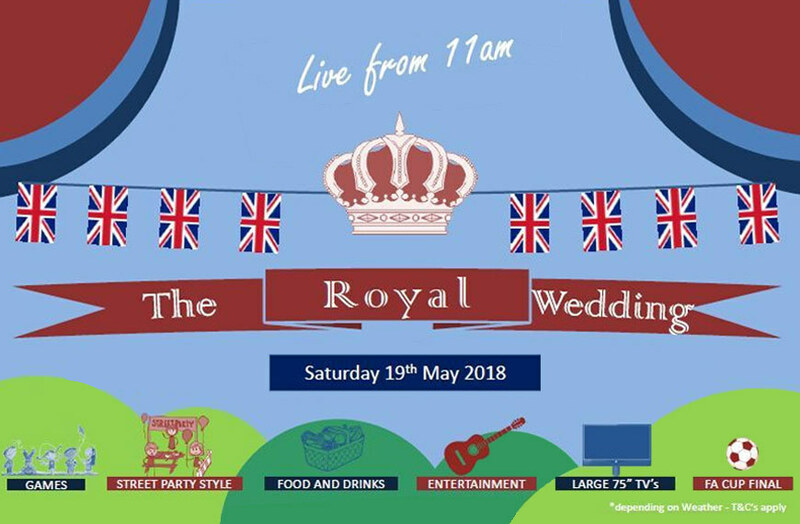 Join us from 11am and watch as this magnificent event unfolds Live from Windsor on 2 x large screens whilst enjoying a picnic, having a drink and watching the children play. Double bonus for Dad – The FA Cup Final will be shown afterwards. From 11am until the end of the FA cup final.